In recent years, dancing Solo Jazz has become one of the favourite dance styles for many people. Little by little, we see small circles on the dance floor where jams are gathered. Sometimes they’re organised and sometimes they happen randomly. In some cases, several people meet at the centre and in others only one person is in the centre, but they are always fun. 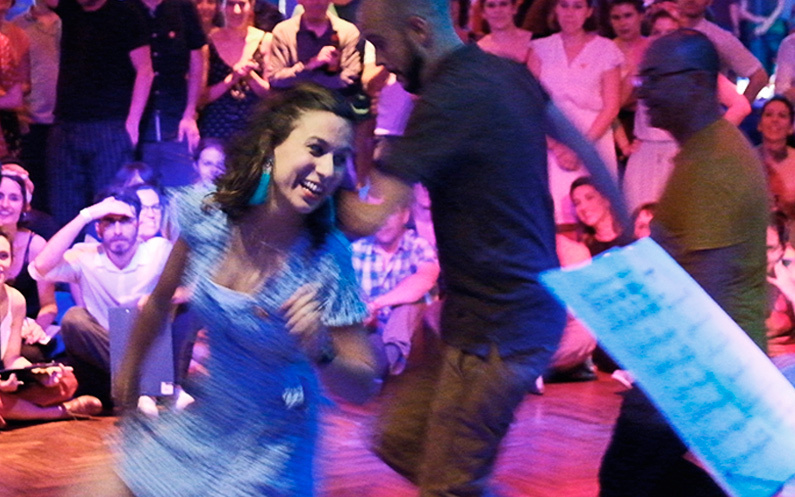 Considering all this, we want Solo Jazz to have the starring role it deserves in our 6th Madrid Lindy Exchange; we are preparing a new “battle mode” competition in order to enjoy it to the fullest. As always, we want to keep the spirit of inclusion that defines us: it is oriented to amateur dancers who have a great willingness and performing art to show or, so to say, that aren’t teaching at any school. You can sign up in our registration desk when you pick up your wristbands at the festival. So now you know what to do: start practicing your distinguishing movements, because the dancing floor is on fire!